with gladness that is thine in Him and His in thee. Enter thou among My slaves. The function of religion is to bestow order upon human life and to establish an "outward" harmony upon whose basis man can return inwardly to his Origin by means of the journey toward the "interior" direction. This universal function is especially true of Islam, this last religion of humanity, which is at once a Divine injunction to establish order in human society and within the human soul and at the same time to make possible the interior life, to prepare the soul to return unto its Lord and enter the Paradise which is none other than the Divine Beatitude. God is at once the First (al-awwal) and the Last (al-akhir), the Outward (al-zahir) and the Inward (al-batin). By function of His outwardness He creates a world of separation and otherness and through His inwardness He brings men back to their Origin. Religion is the means whereby this journey is made possible, and it recapitulates in its structure the creation itself which issues from God and returns unto Him. Religion consists of a dimension which is outward and another which, upon the basis of this outwardness, leads to the inward. These dimensions of the islamic revelation are called the the Shariah (the Sacred Law), the Tariqah (the Path) and the Haqiqah (the Truth), or from another point of view they correspond to islam, iman, and ihsan, or "surrender", "faith" and "virtue". Although the whole of the Quranic revelation is called "islam", from the perspective in question here it can be said that not all those who follow the tradition on the level of islam are mu'mins, namely those who possess iman, nor do all those who are mu'mins possess ihsan, which is at once virtue and beauty and by function of which man is able to penetrate into the inner meaning of religion. The Islamic revelation is meant for all human beings destined to follow this tradition. But not all men are meant to follow the interior path. It is enough for a man to have lived according to the Shariah and in surrender (islam) to the Divine Will to die in grace and to enter into Paradise. But there are those who yearn for the Divine here and now and whose love for God and propensity for the contemplation of the Divine Realities (al-haqaiq) compel them to seek the path of inwardness. The revelation also provides a path for such men, for men who through their iman and ihsan "return unto their Lord with gladness" while still walking upon the earth. 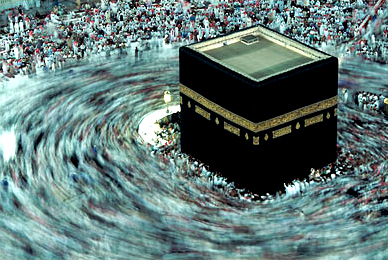 While the concrete embodiment of the Divine Will, which is the Shariah, is called the exoteric dimension in the sense of governing all of man's outward life as well as his body and psyche, the spiritual path, which leads beyond the usual understanding of the "soul" as a separated and forgetful substance in the state which Christians call the "fallen state", is called the esoteric dimension. In Sunni Islam, this dimension is almost completely identified with Sufism (tasawwuf) while in Shi'ism, in addition to Sufism, the esoteric and the exoteric are intermingled within the general structure of the religious doctrines and practices themselves. And even within Sunnism, there is an intermediate region between the exoteric and the esoteric, a world of religious practice and doctrines which while not strictly speaking esoteric are like the reflection of the inner teachings of Sufism within the whole community and a foretaste of its riches. In fact, many of the prayer manuals which occupy such a position in the Sunni world, such as the Dalail al- khayrat, were written by Sufi masters, while in the Shi'ite world, the prayers almost all of which, such as the al-Sahifah al-sajjadiyyah of the fourth Imam Zayn al- Abidin, were written by esoteric authors, partake of both an esoteric and an exoteric character. Occasionally, there has even been the penetration of one domain upon another, such as the sayings of many of the Imams which have appeared in Sufi writings and even of some Sufi writings which have penetrated into certain Shi'ite prayers identified with some of the Imams. Casteth out all else other than Thee. In working for the salvation of the world. Which see nothing but Thy glory. That finds delight in Thy service. Drunk in the wine of Thy wisdom. In the same way that the dimension of inwardness is inward in relation to the outward and the outward is necessary as the basis and point of departure for the journey toward the inward, so is the experience of the Divinity as imminent dependent upon the awareness of the Divinity as transcendent. No man has the right to approach the Imminent without surrendering himself to the Transcendent, and it is only in possessing faith in the Transcendent that man is able to experience the Imminent. Or from another point of view, it is only in accepting the Shari'ah (the unambiguous Divine commands and prohibitions through the Final Testament / the Quran) that man is able to travel upon the Path (tariqah) and finally to reach the Truth (haqiqah) which lies at the heart of all things and yet is beyond all determination and limitation. To interiorize life itself and to become aware of the inward dimension, man must have recourse to rites whose very nature it is to cast a sacred form upon the waves of the ocean of multiplicity in order to save man and bring him back to the shores of Unity. The major rites or pillars (arkan) of Islam, namely the daily prayers (salat), fasting (sawm), the pilgrimage (hajj), the religious tax (zakat) and holy struggle (jihad), are all means of sanctifying man's terrestrial life and enabling him to live and to die as a central being destined for beatitude. But these rites themselves are not limited to their outer forms. Rather they possess inward dimensions and levels of meaning which man can reach in function of the degree of his faith (iman) and the intensity and quality of his virtue or inner beauty (ihsan). 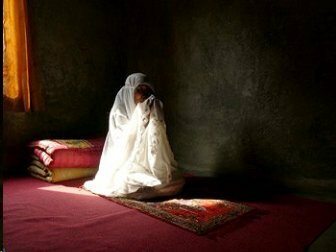 The daily prayers (salat in Arabic, namaz in Persian, Turkish and Urdu) are the most fundamental rites of Islam, preceded by the ablutions and the call to prayers (adhan), both of which contain the profoundest symbolic significance. The form of these prayers is derived directly from the sunnah of the Holy Prophet and the daily prayers are considered as the most important of religious deeds for as the Prophet has said, "The first of his deeds for which a man will be taken into account on the day of resurrection will be his prayer. If it is sound he will be saved and successful, but if it is unsound he will be unfortunate and miserable. If any deficiency is found in his obligatory prayer the Lord who is blessed and exalted will issue instructions to consider whether His servant has said any voluntary prayers / devotions so that what is lacking in the obligatory prayer may be made up by it. Then the rest of his actions will be treated in the same fashion." The salat punctuates man's daily existence, determines its rhythm, provides a refuge in the storm of life and protects man from sin. Its performance is obligatory and its imprint upon Islamic society and the soul of the individual Muslim fundamental beyond description. Yet, the meaning of the prayers are not to be understood solely through the study of their external form or their impact upon Islamic society, as fundamental as those may be. By virtue of the degree of man's ihsan, and also by virtue of the grace (barakah) contained within the sacred forms of the prayers, man is able to attain inwardness through the very external forms of the prayers. He is able to return, thanks to the words and movements which are themselves the echoes of the inner states of the Holy Prophet, back to the state of perfect servitude (ubudiyyah) and nearness to the Divine (qurb) which characterize the inner journey of the Holy Prophet as the Universal Man (al-insan al-kamil) to the Divine Presence on that nocturnal ascent (al-miraj), which is at once the inner reality of the prayers and the prototype of spiritual realization in Islam. Not only do the canonical prayers possess an interior dimension, but they also serve as the basis for other forms of prayer which become ever more inward as man progresses upon the spiritual path leading finally to the "prayer of the heart", the invocation (dhikr) in which the invoker, invocation and the invoked become united, and through which man returns to the Center, to the Origin which is pure Inwardness.The interior life of Islam is based most of all upon the power of prayer and the grace issuing from the sacred language of Arabic in which various prayers are performed. Prayer itself is the holy barque which leads man from the world of outwardness and separation to that of union and interiority, becoming ultimately unified with the center of the heart and the rhythm which determines human life itself. The same process of interiorization takes place as far as the other central rites or pillars of Islam are concerned. Fasting is incumbent upon all Muslims who are capable of it during the holy month of Ramadan, a month full of blessings when according to the well-known hadith "the gates of heaven are opened". But the outward observation of its rules, while necessary, is one thing and the full realization of its meaning is another. Fasting means not only abstention from eating, drinking and passions during daylight but above all the realization of the ultimate independence of man's being from the external world and his dependence upon the spiritual reality which resides within him. Fasting is, therefore, at once a means of purification and interiorization complementing the prayers. In fact, it is itself a form of prayer. The same truth holds true of the other rites. The pilgrimage or hajj is outwardly the journey towards the house of God in Mecca and inwardly circumbulation around the Ka'bah of the heart which is also the house of God. Moreover, the outward hajj is the means and support for that inner journey to the Center which is at once nowhere and everywhere and which is the goal of every wayfaring and journeying. The zakat or religious tax is likewise not only the "purifying" of one's wealth through the act of charity which helps the poor, but also the giving of oneself and the realization of the truth that by virtue of the Divine origin of all things, and not because of some form of sentimental humanitarianism, the other or the neighbour is myself. Zakat, therefore, is, in addition to a means of preserving social equilibrium, a way of self-purification and interiorization, of creating awareness of one's inner nature shown from artificial attachment to all that externalizes and dissipates. Finally, the holy struggle / war or jihad is not simply the defense or extension of the Islamic borders which has taken place only during certain episodes of Islamic history, but the constant inner war against all that veils man from the Truth and destroys his inner equilibrium. The greater holy war (al-jihad al-akbar) as this inner battle has been called, by the Holy Prophet, is, like the "unseen warfare" of Orthodox spirituality, the very means of opening the royal path to the center of the heart. It is the battle which must of necessity be carried out to open the door to the way of inwardness. Without this greater jihad man's externalizing and centrifugal tendencies cannot be reversed and the precious jewels contained in the treasury of the heart cannot be attained. The jihad, like the prayers, fasting, pilgrimage and religious tax, while a pillar of Islam and a foundation of Islamic society, is also a means toward the attainment of the inner chamber and an indispensable means for the pursuit of the inner life in its Islamic form. The goal of the inward life in Islam is to reach the Divine as both the Transcendent and the Imminent. It is to gain a vision of God as the Reality beyond all determination and at the same time of the world as "plunged in God". It is to see God everywhere. The inward dimension is the key for the understanding of metaphysics and traditional cosmology as well as for the penetration into the essential meaning of religion and of all religions, for at the heart of every authentic religion lies the one Truth which resides also at the heart of all things and most of all of man. There are of course differences of perspective and of form. In Christianity, it is the person of Christ who saves and who washes away the dross of separation and externalization. In Islam, such a function is performed by the supreme expression of the Truth Itself, by the Shahadah, La ilaha ill'llah. To take refuge in it is to be saved from the debilitating effect of externalization and "objectivization" and to be brought back to the Center, through the inward dimension. It is not for all men to follow the interior life. As already mentioned, it is sufficient for a Muslim to live according to the Shari'ah to enter paradise after death and to follow the interior path after the end of his terrestrial journey. But for those who seek the Divine Center while still walking on earth and who have already died and become resurrected; in this life the interior path opens before them at a point which is here and a time which is now. "It is related that one night Shaykh Bayazid went outside the city and found everything wrapped in deep silence, free from the clamour of men. The moon was shedding her radiance upon the world and by her light made night as brilliant as the day. Stars innumerable shone like jewels in the heavens above, each pursuing its appointed task. For a long time the Shaykh made his way across the open country and found no movement therein, nor saw a single soul. "O Lord, my heart is stirred within me by this Thy Court displayed in all its splendour and sublimity, yet none are found here to give Thee the adoring worship which is thy due. Why should this be, O Lord? "O thou who art bewildered in the Way, know that the King does not grant admission to every passer-by. So exalted is the Majesty of His Court that not every beggar can be admitted thereto. When the Splendour of My Glory sheds abroad its radiance from this My sanctuary, the heedless and those who are wrapped in the sleep of indolence are repelled thereby. Those who are worthy of admittance to this Court wait for long years, until one in a thousand of them wins entrance thereto." No religion would be complete without providing the path for the "one in a thousand". Islam as an integral tradition and the last plenary message of Heaven to the present humanity has preserved to this day the possibility of following the interior life, a life which, although actualized fully only by the few, has cast its light and spread its perfume over all authentic manifestations of the Islamic tradition.